If you’ve been a reader of mine for sometime now, you know that beginning on September, all the holidays to come are my favorite ones. 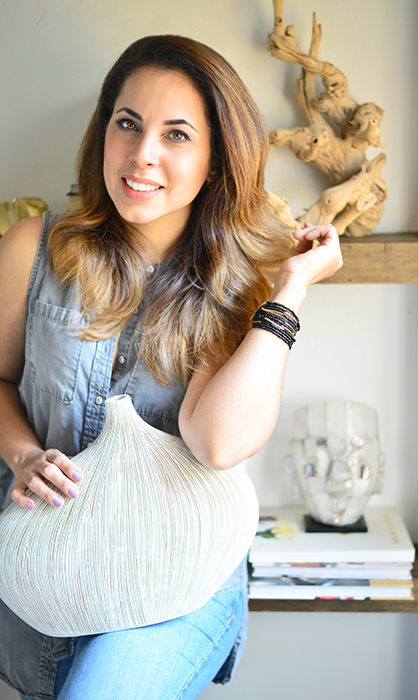 Fall is a season to cherish not because of the climate, but also because the color palette that it brings. I love the autumnal shades, and whether I see them in decoration or in nature, they make my heart feel warm and cozy specially around my family and friends. Today I’m going to be sharing a special and kind of different approach to the common Halloween pumpkin. 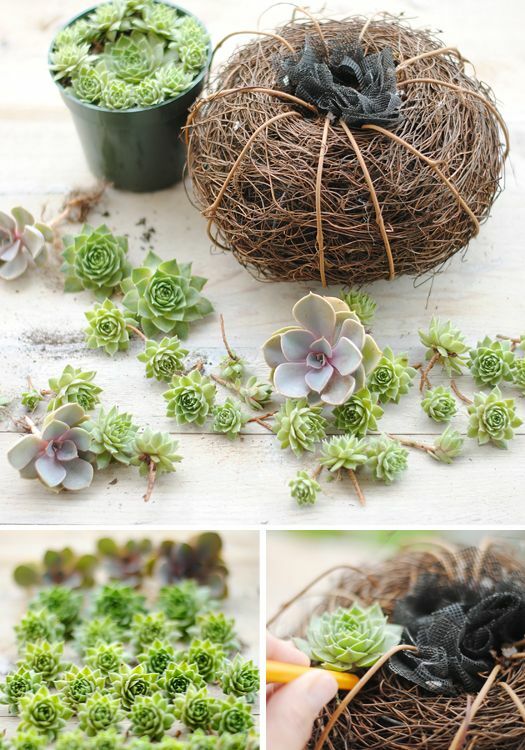 Because I’ve been having a succulent fever for sometime now, I’m going to do a pumpkin cover mostly by these plants. Last year I bought a grapevine pumpkin (from Michaels Stores), which I’m going to adapt and use for this project. 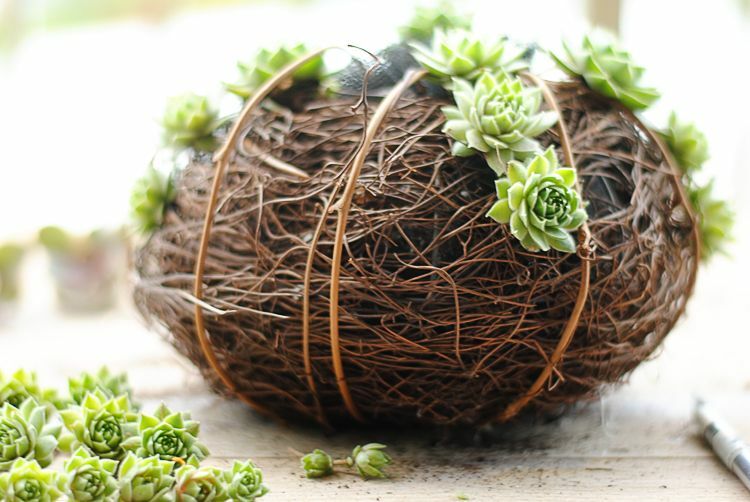 Besides this you’ll also going to need some small succulents, a glue gun, charcoal fiberglass screen (which I had some leftover from one of my last projects) and potting soil (from Home Depot). The first thing I did was to take away the pumpkin stem so I can have access to the inside. After this, I used a glue gun to attach the ribs that hold the vines together to the border of the opening (first small photo from left to right). Now using a pencil (second small photo), I placed inside the screen which was going to hold the soil. You can see on the last picture above how (with some pressing) the inside of the pumpkin looks with the soil inside. 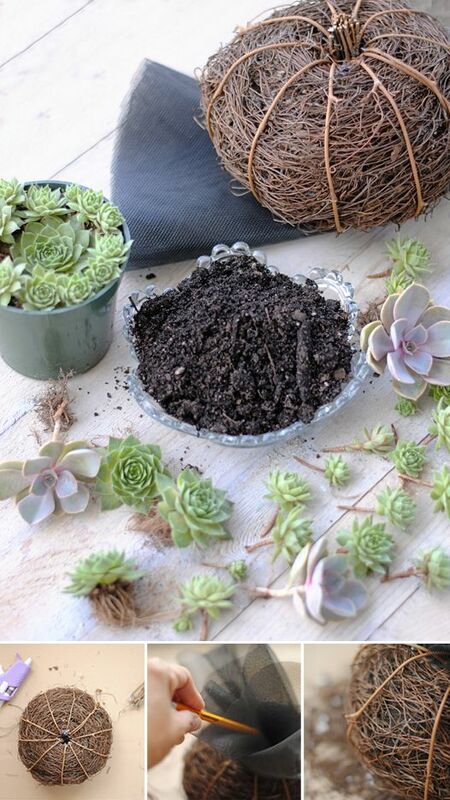 The idea is that when I plant the succulents, each one will have direct contact with this soil. Before starting to plant, I divided the each by size. This way was easier for me when I placed them over the pumpkin. 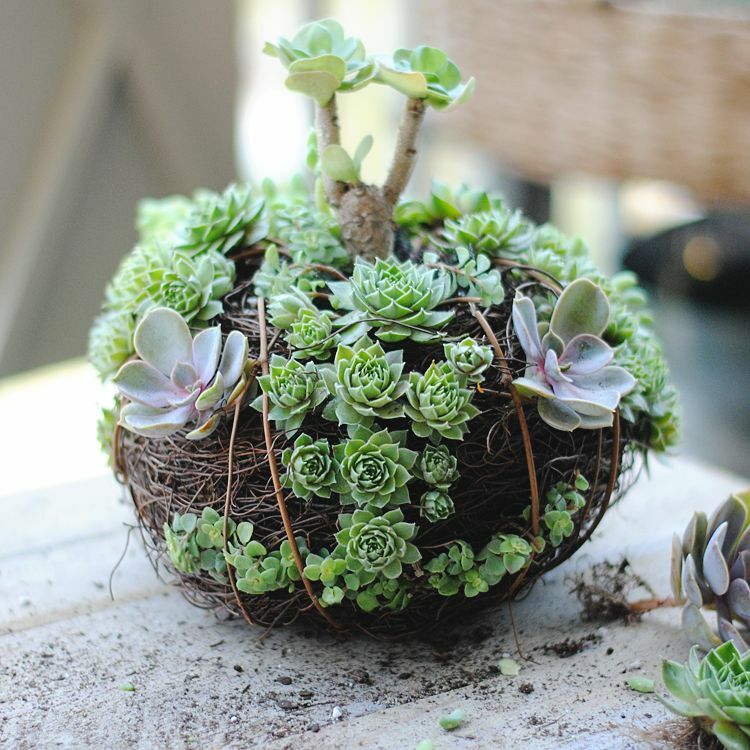 When planting I used the biggest succulents above and from there I decreases the sizes, ending with some medium or small and using the tiniest ones to fill the gaps. For the eyes I used a different colored succulent (this one is called “Echeveria Perle von Nurnberg”) so that they stand out and to give a bit of reality, I used for the stem one that looked like wood (this one is callef “Portulaca Molokiniensis Hobdy” commonly known in Hawaii as “Ihi”). For the mouth some smaller leaves succulents were used (this are “October Daphne”) and to finish it all I added some other types on the top and on the back of the pumpkin. This project was so fun to do and definitely a different take on the traditional Halloween pumpkin. So what do you think? What other projects are you doing for Fall of perhaps for Halloween. I would love to read about them. Share them with me! Hope you like this easy and fun tutorial. 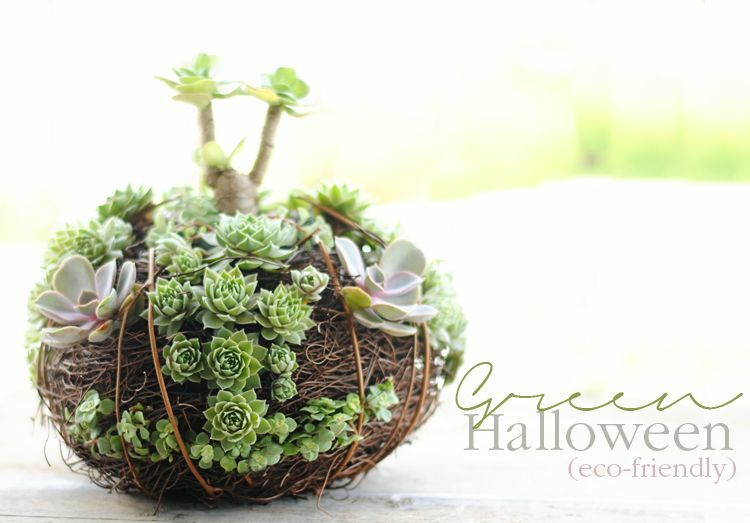 Love this alternative to a pumpkin. Thanks for sharing! Thank you so much Britnee! I'm making some great Halloween treats so stick around! Have a great day!